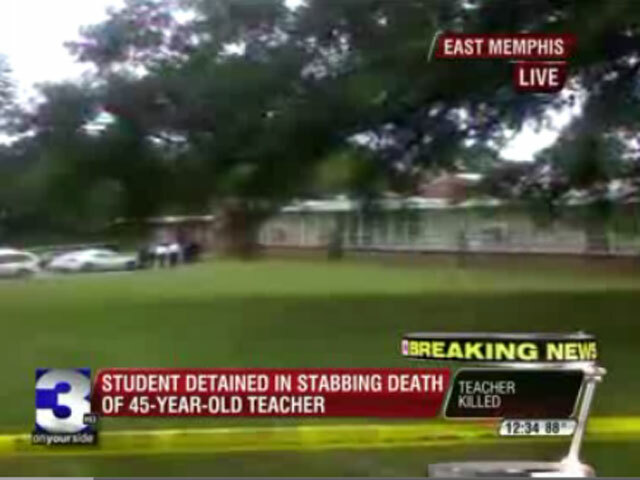 (CBS/WREG) Memphis, Tenn. - Memphis police say a 17-year-old student is in custody after a 45-year-old female teacher was found stabbed to death in classroom at the Memphis Junior Academy. Officials say body was found around 11:00 a.m. Wednesday in a classroom at the school. The identity of the teacher was not immediately released. An administrator at the school told CBS affiliate WREG, "We have lost a great teacher and valuable member of our school." After the body was found, classes were dismissed for the day, and will be out for the rest of the week. On its website, Memphis Junior Academy is described as a Seventh-day Adventist school offering education to students from Pre-K4 through 11th grade.